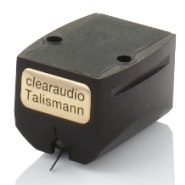 Clearaudio phono cartridges are known far and wide for their truthful sound reproduction. 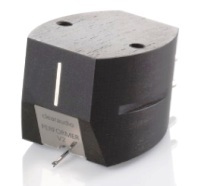 Offered in both moving magnet and moving coil designs, there is something for every taste and budget. 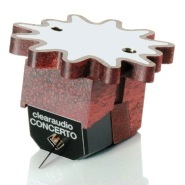 Clearaudio Moving Magnet Phono Cartridges are remarkably “open-sounding” and are among the most affordable audiophile-quality phono cartridges on the market. 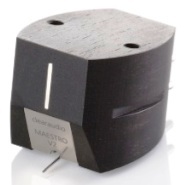 From the budget-minded Concept MM to the highly regarded Maestro V2 Ebony, Clearaudio’s range of wood-bodied moving magnet phono cartridges is real bang for the buck. They offer natural sound reproduction that is smooth and non-fatiguing. 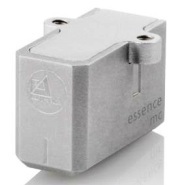 If you want to take the plunge into “audiophile” phono cartridges, this is the place to start. 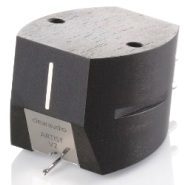 Clearaudio’s new V2 moving coil phono cartridge designs define state-of-the-art in high performance music reproduction. 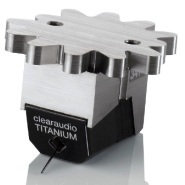 A clear breakthrough in analog music reproduction has been achieved with the V2 generation of Clearaudio moving magnet cartridges. 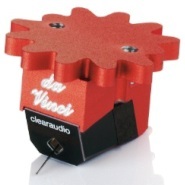 They are able to reproduce a dynamic range of 100 dB with a frequency response of 10 Hz up to 100 kHz. 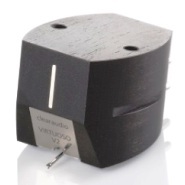 The new V2 line of moving coil phono cartridges uses a new generator design which has raised the efficiency of the generator by an astounding 30%. 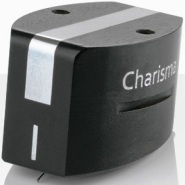 This has resulted in improved electrical outputs of 0.5mV to 0.9mV throughout the range. 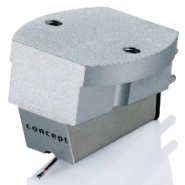 The generator construction of the new V2 moving coil cartridge generation is absolutely symmetrical: mechanically, magnetically and electrically. 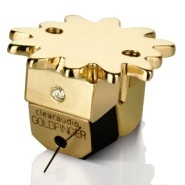 All Clearaudio moving coils use their proven pure 24 carat gold coils. 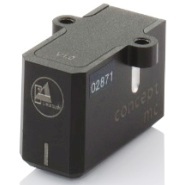 The new Micro-HD Diamond tip provides a hybrid parabolic geometry with a stylus radius of 0.008mm x 0.040mm. 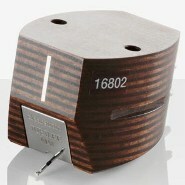 The total mass (0.00016 grams) is one-fifth that of the previous diamond stylus. 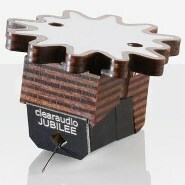 Cartridge body resonances are minimized through the twelve finger design of the mounting plate, with each of the twelve fingers having a different radius than the others. 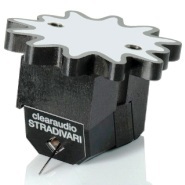 The cartridge bodies of the 5 models: Goldfinger, Titanium, da Vinci, Stradivari and Concerto, are made of the following materials respectively: gold, titanium, ceramic coated aluminum, Ebony and Satinee wood. *Body and coil are solid gold.